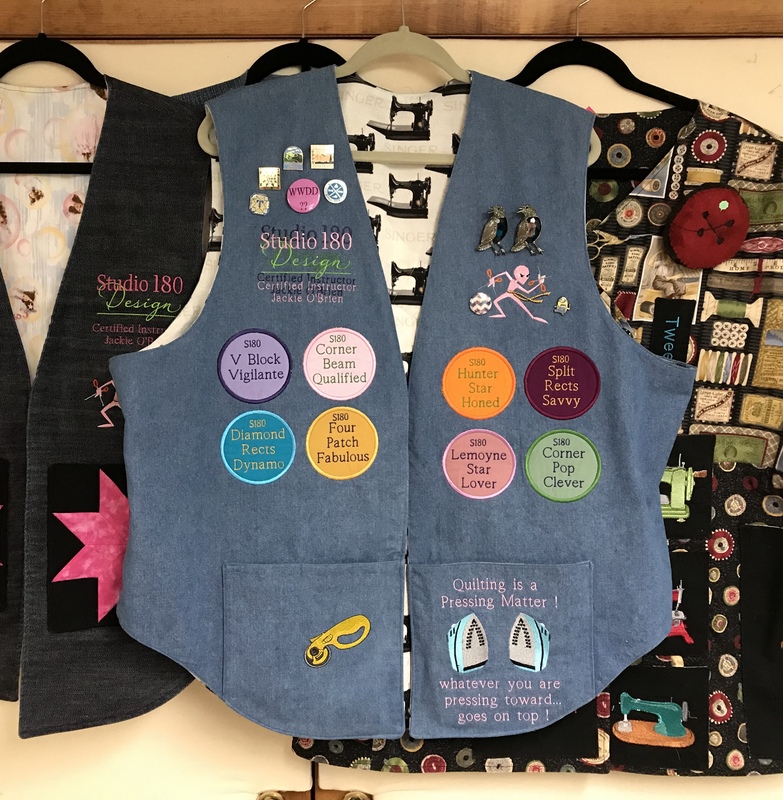 “Sew On The Go” that’s what I say about my friend and fellow Studio 180 Design Certified Instructor Michelle Hiatt. 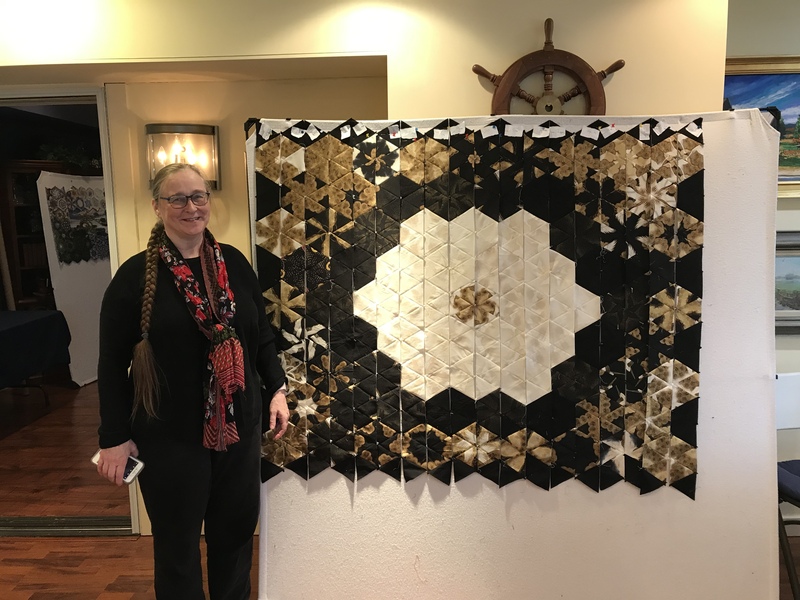 Michelle is not only an excellent quilt teacher, she is a very talented quilt designer. 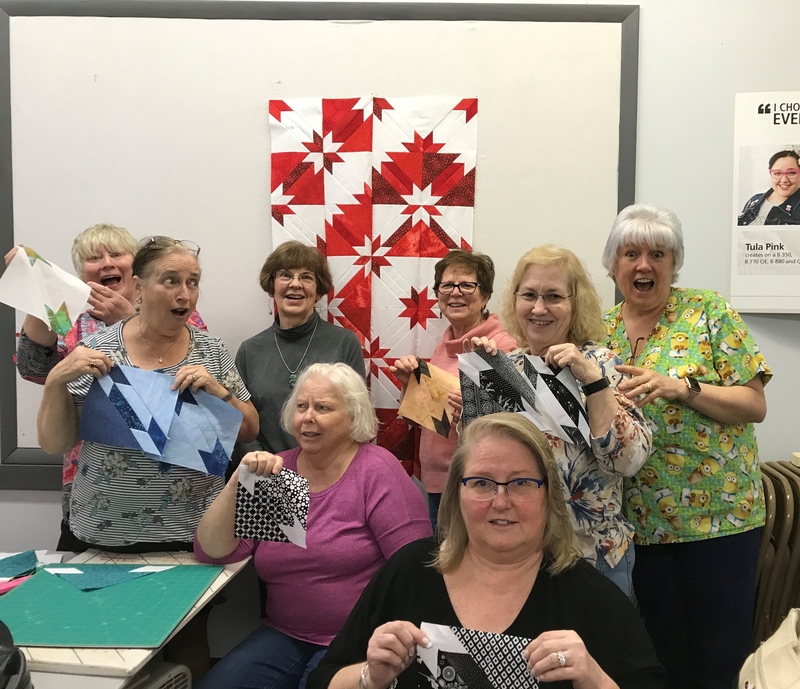 Michelle’s designs are featured in Fons & Porter’s Love of Quilting Magazine, Quilter’s Newsletter & Modern Quilting Unlimited Magazine. 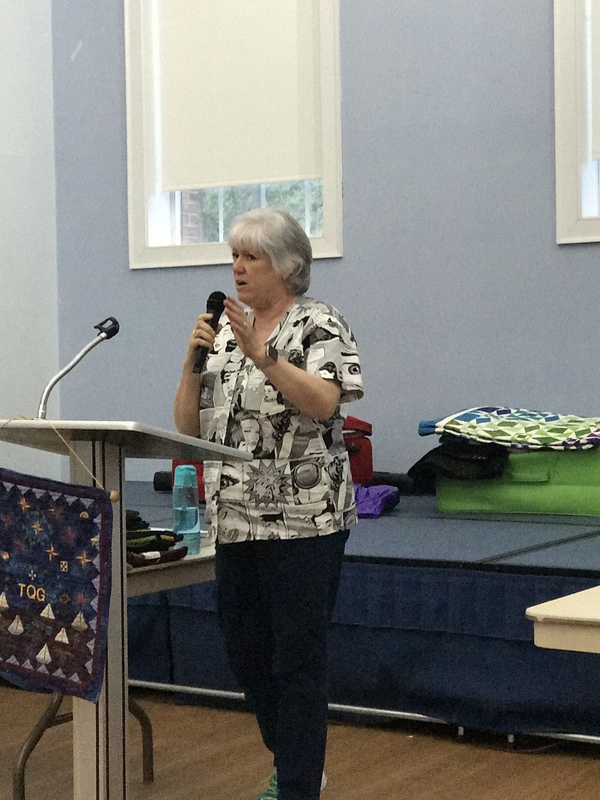 Michelle teaches throughout the northeast, including at American Quilt Society’s Quilt Weeks across the country. 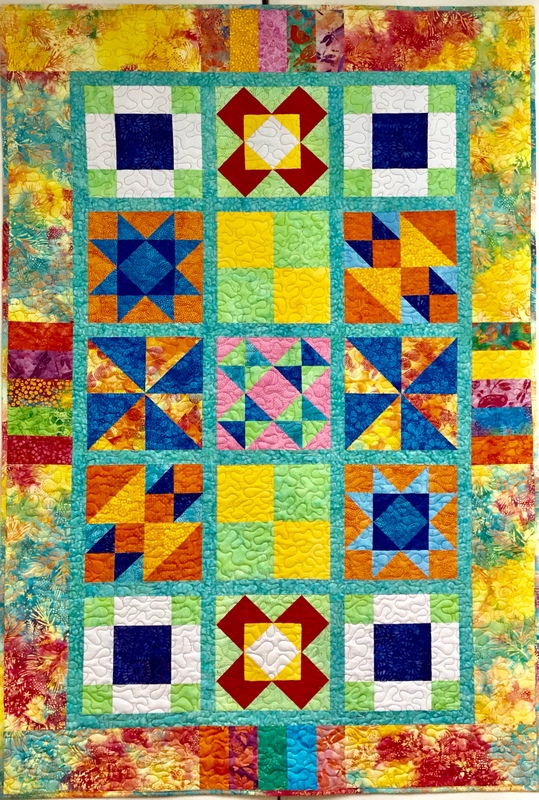 Her quilts have been exhibited in several national quilt shows and have received numerous awards. 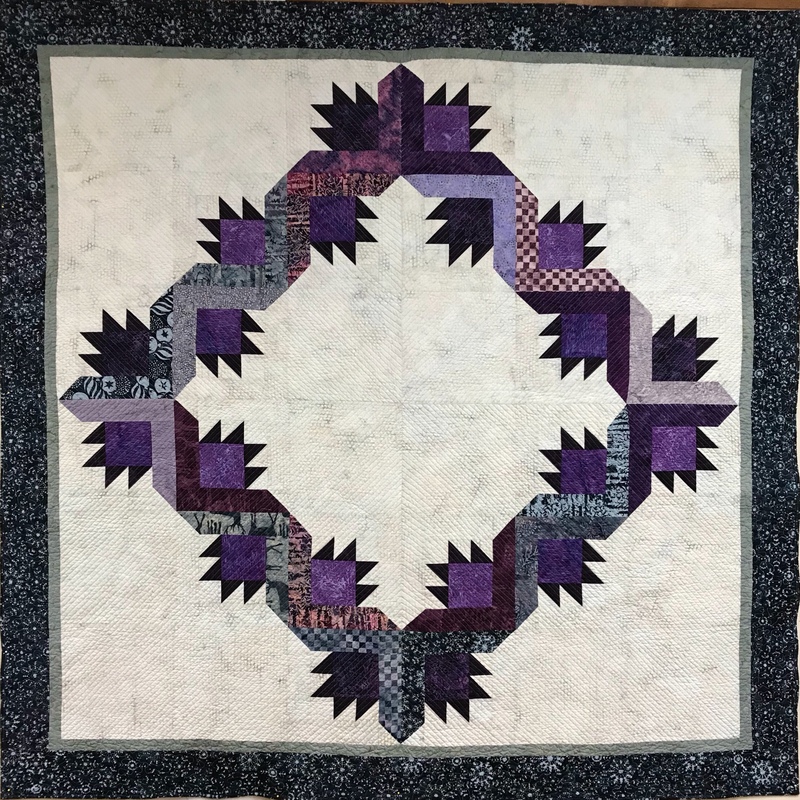 Most recently, Winter Jewels (patterned as Loco for Lemoyne Stars), took two 1st place, a 3rd place and viewer’s choice at national quilt shows. 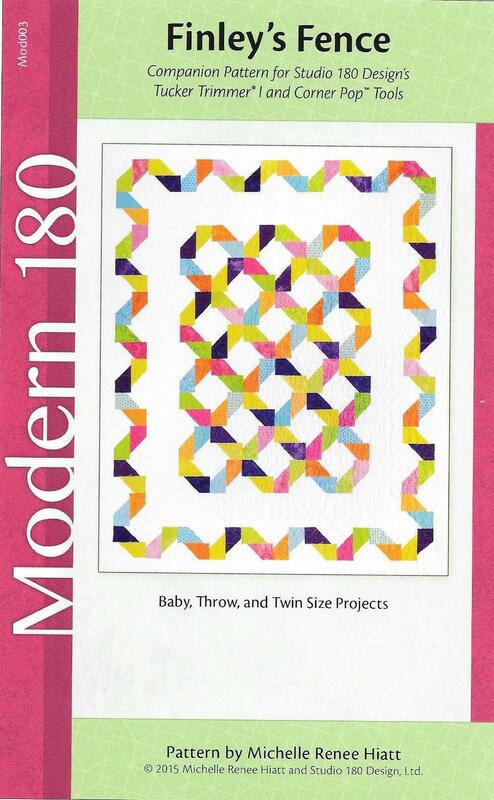 I’m so excited to share 4 of Michelle’s newest patterns for Modern 180 and Studio 180 Design. 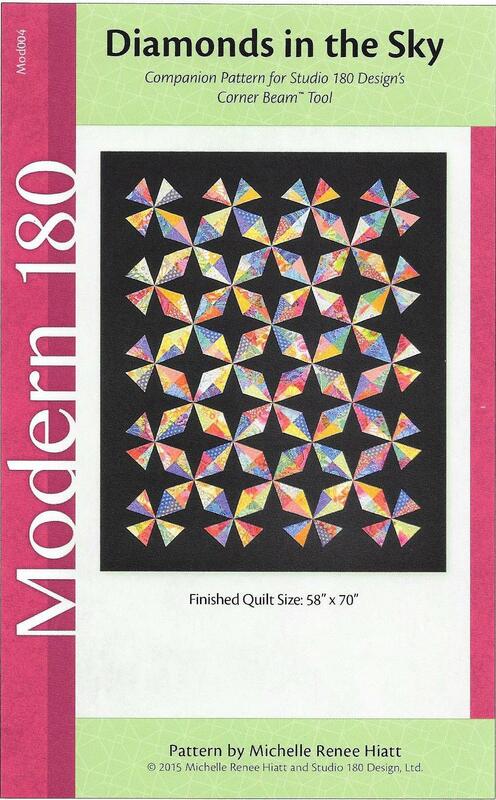 Below is “Floral Burst” companion pattern for Studio 180 Design’s Rapid Hunter Star & Corner Pop Tools. 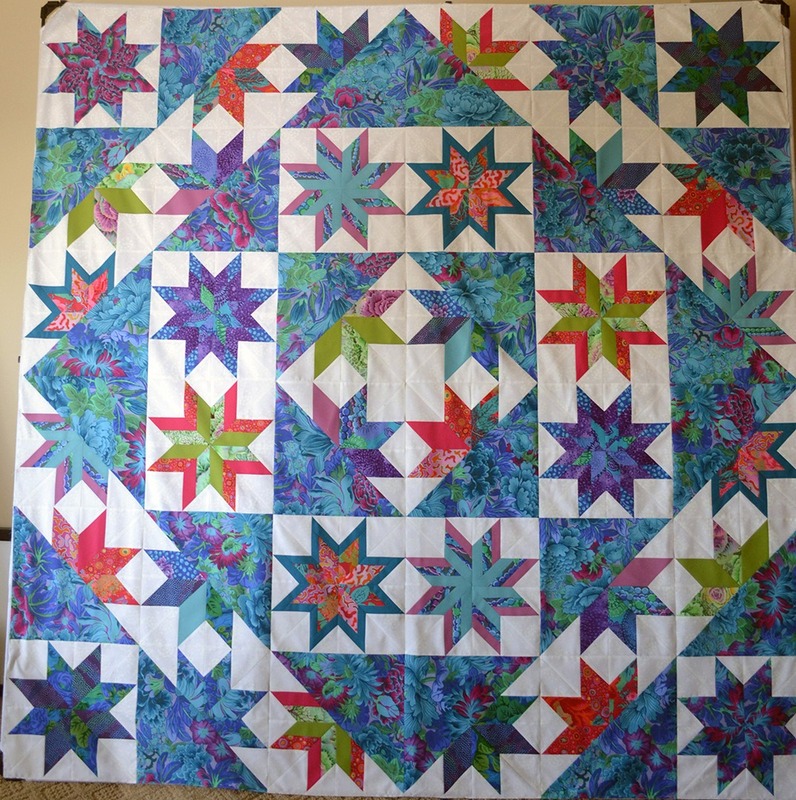 It is amazing to see how just popping a corner of the hunter star block and inserting a pop of color adds so much. 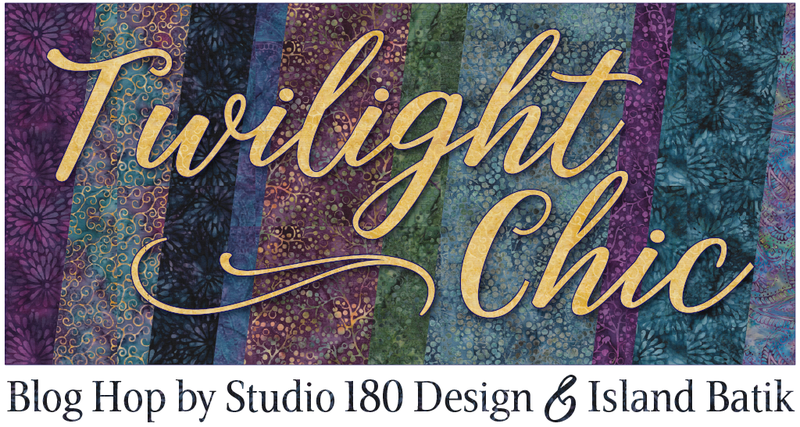 Next is “Diamonds in the Sky” companion pattern for the Studio 180 Design’s Corner Beam Tool. I love the Corner Beam tool and this pattern looks like fun. 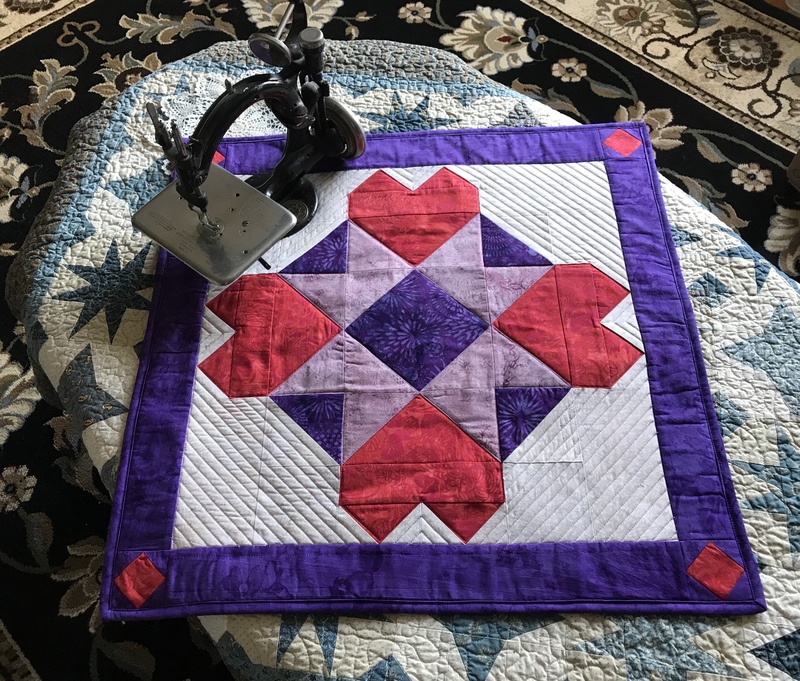 Below is “Finley’s Fence” companion pattern to Studio 180 Design’s Tucker Trimmer I and Corner Pop tools. 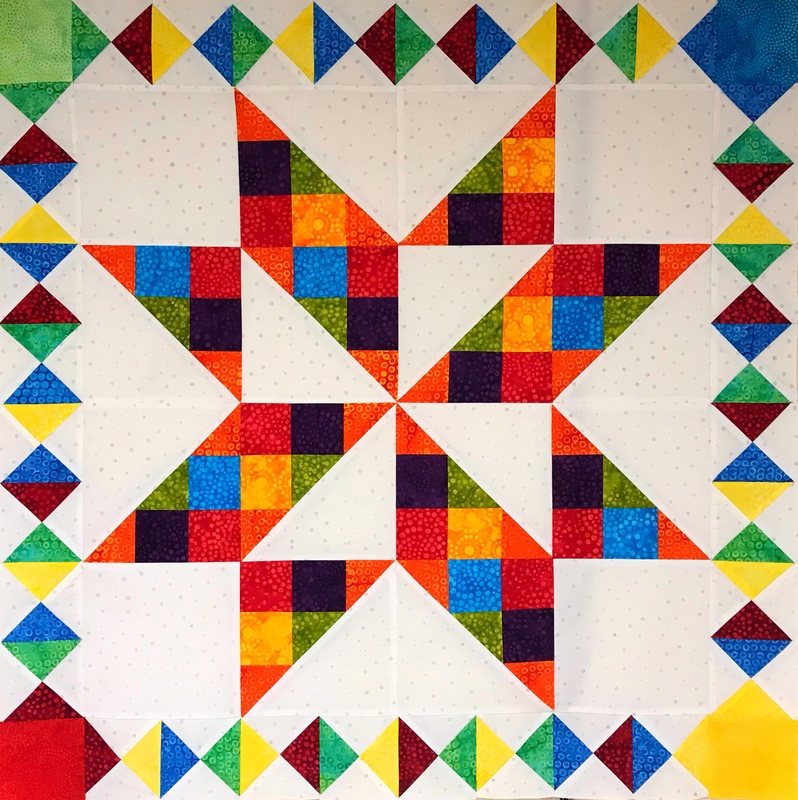 This would make a great baby quilt. Last but not least is “Zig Zag Zany” companion pattern for Studio 180 Design’s Wing Clipper I and Tucker Trimmer I Tools. It is so much fun to see the many different ways to use flying Geese! I purchased all 4 and can’t wait to make them. 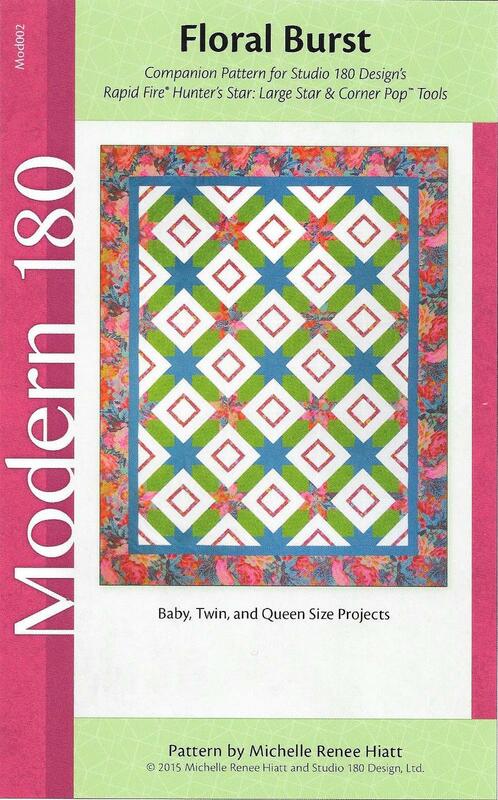 Look for these patterns soon at Studio 180 Design and at Michelle’s Etsy Shop Sew On The Go. 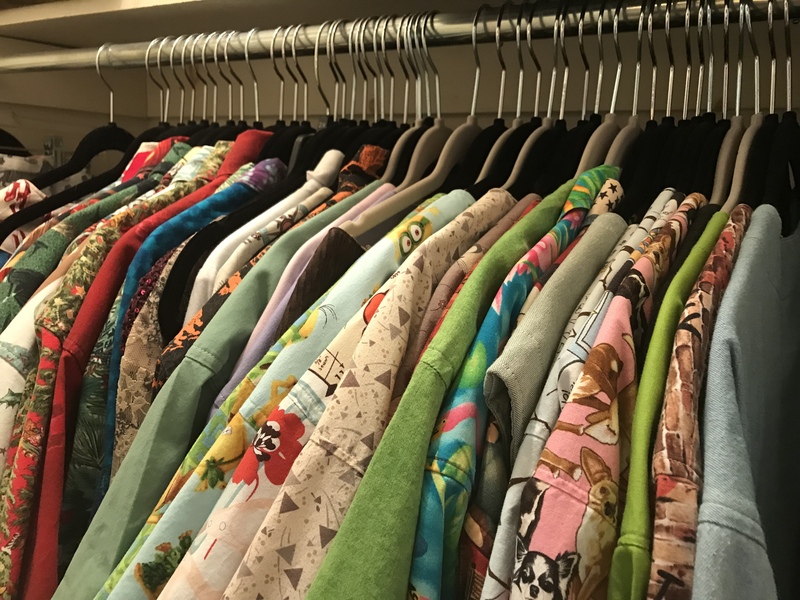 You can reach Michelle through her website Sew on the Go. 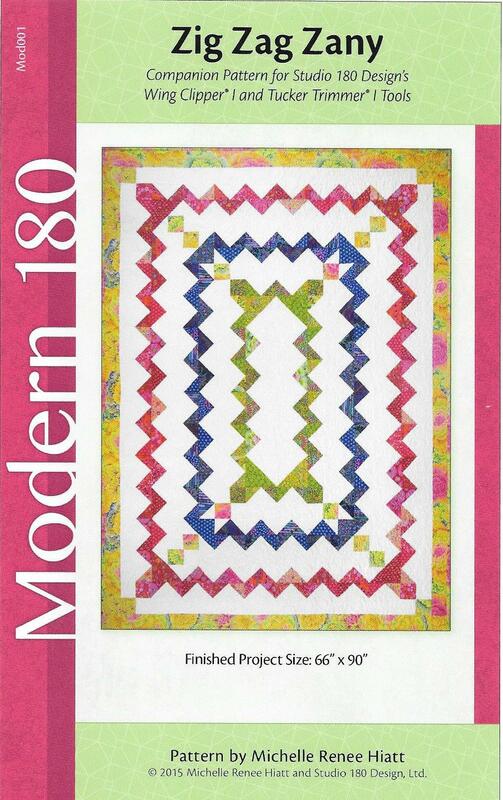 This entry was posted in Modern 180, Studio 180 Design and tagged Corner Beam, Corner Pop, Flying Geese, Loco for Lemoynes, Michelle Hiatt Quilt Designer, Modern 180, quilting, Quilts, Rapid Fire Hunter Star, Studio 180 Design, Wing Clipper on June 27, 2015 by ifthesethreadscouldtalk.